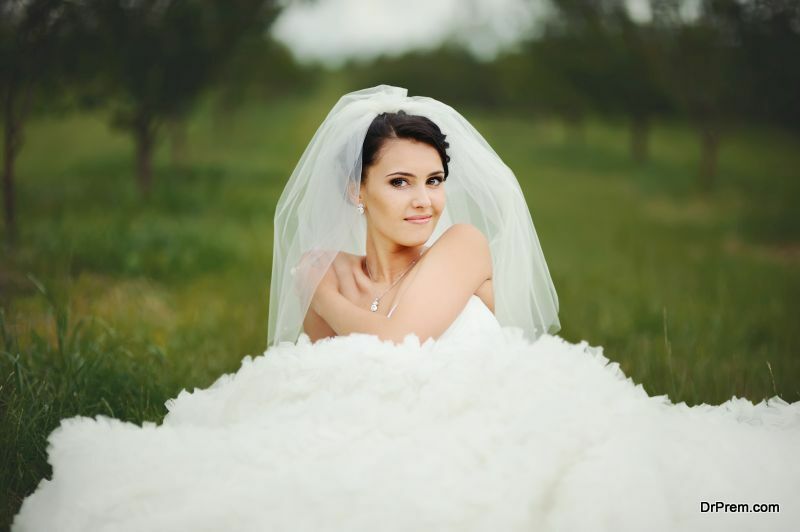 Choosing the right sized veil is essential when you are selecting your wedding gown. There are a variety of designs, styles, materials and types of veils available in the market. 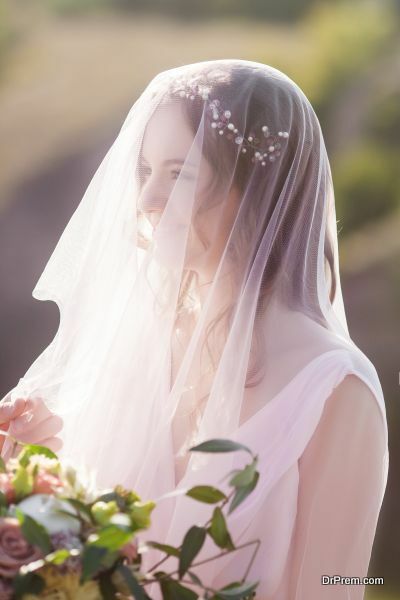 The bridal veil not only compliments your entire wedding look, however, it also compliments your gown. While selecting the veil, you need to ensure that you choose the right one, which will be perfect for your gown. Here are a few guidelines that can help you in making the right choice. Although you have differently sized veils, choosing the right one is a bit difficult. The first step in getting the perfect veil is selecting the right length. When you go for your fitting, try on various lengths to see which one suits you. Generally, people opt for longer veils as they look more traditional. The shorter length veils will give you a modern look and adds to your personality. Matching the veil with your wedding gown is a good option, but you should aim to choose the one that will blend in well with your gown. You can also opt for colors, which compliment your veil. If you are looking for something in specific, you can also get one customized the way you want. 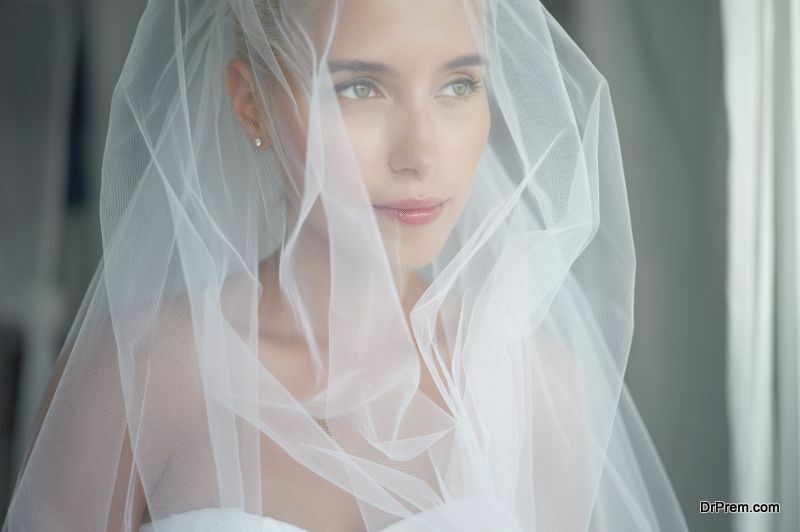 This is also another perfect way to get the right kind of veil for your wedding gown. Simple, clean and minimal work on the veil is perfect for a gown that has a lot of work on it. On the other hand, if you have a simple looking wedding gown, you can highlight the look with a heavy veil. The right balance of the veil and gown plays a vital role. The right fabric is also essential when you have to choose a veil. Generally satin, silk or lace is used for veils. This is because these materials are easy to drape and give a beautiful look to the design you choose. These materials also give a good shape and finish to the way you will look on your special day. Another factor that you have to keep in mind while choosing your veil is the type of hairstyle you are planning to have. Make sure that your hairstyle blends perfectly with the fall and size of your veil. Even the accessories you plan to wear should match smoothly with your veil. You get various styled veils in the market. From the Single to the double and even the drop and mantilla styles, you should select the one that suite you. Keep in mind the face of your shape, the design of your gown as well as the length that you will be comfortable with. 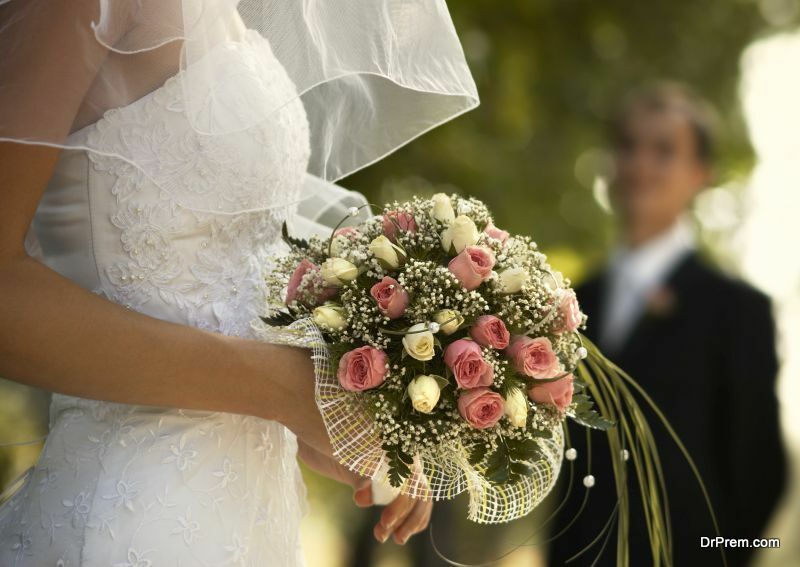 The wedding venue also plays a vital role when you are selecting your veil. Long ones are perfect for indoors. For the outdoors, it is advisable to choose short to calf length veils. Your wedding venue also makes a difference during the selection process of the veil so pay ensure that you keep it in mind. Keeping in touch with the latest trends can really help you in making a good choice. If you want to blend in a modern look with a traditional touch to personalize your veil then you can also do that. The styles, the designs, cuts and even the type of work that is in trend will help you in making the right choice. Need a wedding dress from Pnina Tornai?